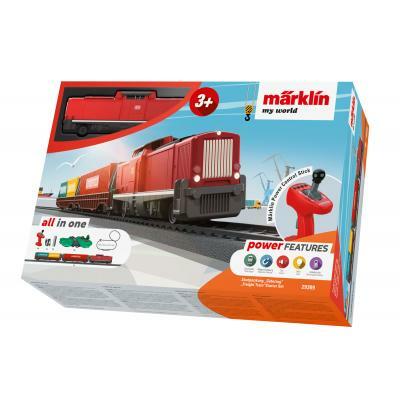 The category hosts all Marklin MyWorld Starter Train Sets and accessories in H0 Scale. The MyWorld train set are designed special for kids from the age of 3 years and up. The joystick like controller makes it for the kids to control their train.